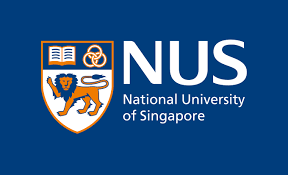 In collaboration with the National University of Singapore, the College nominates two undergraduate students to undertake a research project at NUS for the Long Vacation. The project will be for 8-12 weeks between 1 July and 21 September 2019. Students are encouraged to arrive in NUS no later than 1 week from 1 July 2019. If you are already in touch with a supervisor and there is a specific project that you would like to work on, then please include this information in your application. Otherwise, if your application is successful, NUS will assist you to secure a project suitable for you based on your research interests. Conduct cutting-edge research in NUS under the supervision of a faculty member in a conducive environment with state-of-the-art laboratory facilities. Immerse in the culture of Singapore through trips & tours. Students will experience the fascinating culture, cuisine and sights of Singapore, and immerse themselves into a multifaceted and multicultural city, together with students from the Biodiversity Summer Programme. The tuition fees will be waived as part of the exchange agreement with NUS. the Student Pass application fees. When you return to the College, you will be asked to submit a report about your project at NUS and this report may be used in future publications of the College. Your supervisor at NUS will also be asked to submit an assessment for your work. The NUS Research Exchange is usually advertised to students in November with a deadline in December. The exact dates will be posted on this webpage closer to the date and a relevant announcement will be made by Student Services. Students who wish to apply will be asked to also attach: (i) a basic CV, and (ii) a personal statement of the reasons why they are interested in the Research Exchange Programme and how they feel that it would benefit their academic and personal development, as well as a short description of their research interest topics (if they have identified any supervisors, they should also include their names). The successful candidates will be notified at the end of January. Student Services would be happy to respond to informal enquiries and requests for information.